Plus - after entry, you'll receive a unique code for 40% off tickets to use until 31st Dec.
Good Luck! 🙏 ✨ Full T&C's can be found here. Wanna rub shoulders with the stars? 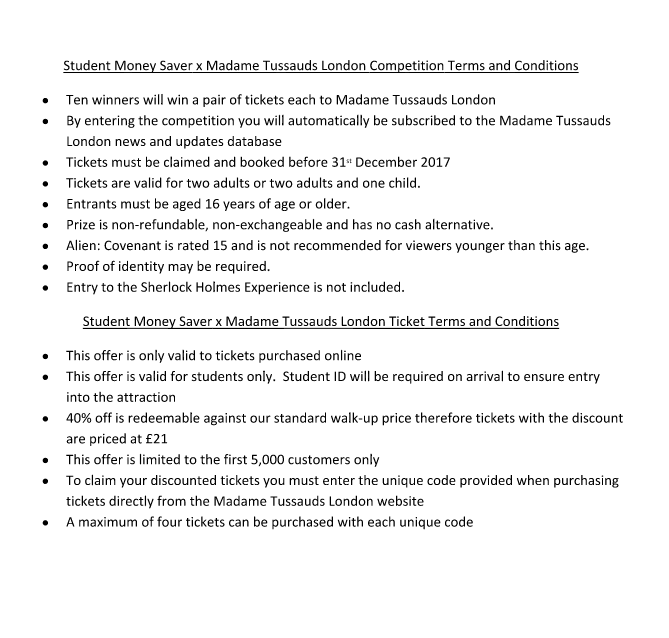 Check this page for the latest Madame Tussauds offers and exclusives!